tronicstk has no other items for sale. Item as described and good delivery time. Fast postage. Good quality, almost same build and materials as original. 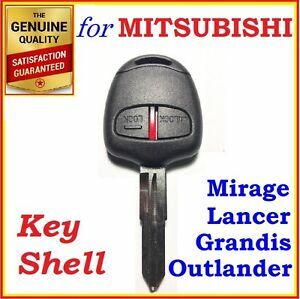 Key slot to small for 2007 Lancer. Had to file back original key. If you don’t have time to fix this look elsewhere. Thanks. in my case shell was broken and key was separated from it, this shell case solved my problem. Material is strong and fill nice in the hand. Thanks . It good quality key shell.